If you want to grow your business but lack the infrastructure to keep up with the number of orders that you would need to receive through your website in order to do so; then we have a solution for you. You don’t need to stress over expanding your workforce or investing in a fleet of delivery vehicles; all you need is to outsource the work to a third-party delivery service. – One that offers GPS track and trace delivery. In this blog, we’re going to explore the major benefits of GPS delivery tracking, and how a fast track courier like Transportify can help your business to thrive. Again, you don’t need to worry about anything other than ramping up the workload; the rest you can leave to us. One of the biggest fears for business owners who are considering outsourcing their delivery needs to a third-party company is lack of control. At Transportify, we give the control back to you by allowing you to easily track package in the Philippines in real-time through our app. Track and trace delivery will allow you to notify customers with accuracy when they can expect to receive their orders. It also allows you to stay on top of everything, without having to worry about losing track of your daily progress. Particularly for new clients, we understand that it can be rather scary putting your products and faith into the hands of a new company. Fortunately, with a fast track courier, you have the additional security of knowing exactly where your products are at all times. So, this will give you the confidence to crack on with other important tasks without stressing too much about whether or not your packages are going to make it in one piece! If a customer complains about their package taking too long (which should never be a problem as our drivers would notify you if they encountered any traffic or other obstacles that could seriously hinder their progress), then you have the benefit of being able to review the GPS history. That way you will be able to see precisely how long your driver took to deliver the item and what time that the package arrived. Applies to both YOU and YOUR customers! A GPS based delivery service is hard to beat, particularly when you look at the statistics. You see a significant drop in late or wrong deliveries and damage to packages. Delivery drivers also perform much better when they know that they’re being tracked. Our drivers are highly professional as it is, but it’s hard to stop for a half-hour nap when your customer is watching your exact location through the app. 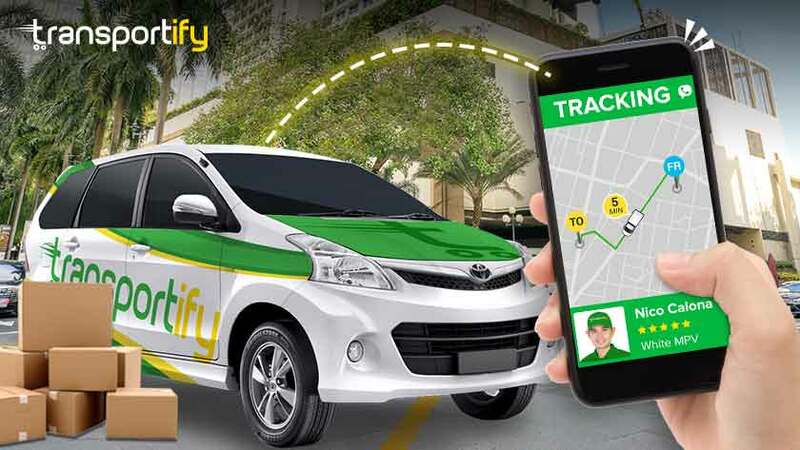 By using a GPS delivery service that allows you to easily track package in the Philippines, your customers will be highly satisfied with you, and in turn; you will be highly satisfied with us. It’s a win-win! Using a GPS delivery system sends a very positive message to your customers. Maintaining a high level of professionalism and customer care by delivering packages with speed and precision. – These are the qualities that you want your customers to experience, and by using Transportify track and trace delivery feature, you will be able to give them exactly that. Enjoy these great advantages when you sign up for the business program.